At the age of 26, I am reading the Harry Potter series for the first time. I’ve nearly finished the books, and Remus Lupin has slowly become my favorite character. Lupin faces a lot of adversity because of something he can’t control — he’s a werewolf. I can relate to this, not because I’m a werewolf, but because for the past 10 years I’ve been living with lupus. Lupus is an autoimmune disorder that has impacted and changed every single aspect of my life. Interestingly enough, the word “lupus” comes from the Latin word for “wolf,” and along with other blood disorders is the basis for a lot of folklore surrounding werewolves and vampires. Like with Remus Lupin, having a chronic illness is also against my control. 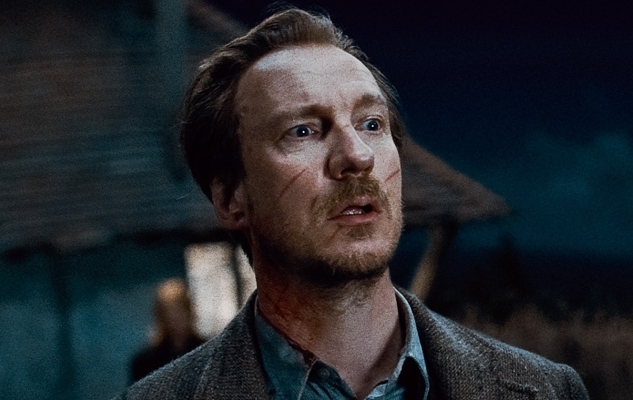 Remus Lupin is a werewolf who was transformed as a child by a werewolf with a grudge against his family. J.K. Rowling has spoken about how she made Lupin a werewolf as a metaphor for stigmatized illnesses, such as HIV and AIDs, as a way of bringing to light the judgment ill people face. Rowling writes, “Lupin’s condition of lycanthropy (being a werewolf) was a metaphor for those illnesses that carry a stigma, like HIV and AIDS. All kinds of superstitions seem to surround blood-borne conditions, probably due to taboos surrounding blood itself. The wizarding community is as prone to hysteria and prejudice as the Muggle one, and the character of Lupin gave me a chance to examine those attitudes.” As I have been sick for a good portion of my life, I’ve experienced a good deal of judgment myself from people who just don’t understand. Reading about Remus Lupin is character is a comfort. Lupin is a naturally withdrawn person, which makes sense as he’s lived years of his life being ostracized, feared, and bullied for his condition. He doesn’t see himself as being worthy of love or friendship and for that reason keeps a distance. He tries to stop his relationship with Tonks at every turn, even though he has feelings for her, because he knows that she will also be treated differently if she’s connected with him. Eventually, they get together, and when Tonks becomes pregnant he feels overwhelming guilty over knowingly bringing a child into the world to feel the pain, suffering, and shame that he knows all too well. This part of Lupin’s storyline really got me — I am also scared to have children naturally, because I don’t want to inflict my own problems onto someone so small and innocent. Lupin sees himself as nothing more than a werewolf, and experiences a lot of self-hatred as a result of his condition. It causes him to believe that his own feelings don’t matter. When your life changes for the worse because of an illness or a condition, and that one thing controls nearly every single thing you do, the only thing that matters is surviving. Lupin knows this, and I do too. It can be hard to get close to people sometimes, because you can be scared that what you’re dealing with will negatively impact their lives. From Lupin’s friendship with James and Sirius at Hogwarts, to his relationship with Tonks, he always puts the other person first and acknowledges his own feelings at the very end, if at all. However, somehow through it all — the isolation, the pain, the shame, and everything else he feels and is subjected to — Lupin manages to remain one of the loveliest and warmest people in the series. To those who show him kindness and respect, despite his condition, he is trustworthy and loving. He is loyal to Dumbledore and the Order no matter what, even after his best friends are killed. He trusts reluctantly out of fear, but when he does it’s wholeheartedly and without prejudice. What strikes me the most about Lupin is that although he hates his condition, he doesn’t let it stop him. Despite fear that people will find out he is a werewolf, he takes a teaching post at Hogwarts. He also uses his ability to turn into a werewolf to his advantage and, knowing what anger can do to him, channels it to fight in the Order against dark magic. Although he doesn’t love the condition he struggles with, he accepts it and knows his limits. Lupin’s story is one that a lot of people with chronic illnesses can find hope in. I’m one of them. Rachel Charlton-Dailey is a 26-year-old writer and blogger, who aims to raise awareness of invisible illnesses and challenge stereotypes of disabled people whilst living with Lupus, depression and a whole other host of illnesses. In her spare time she watches Rupaul’s Drag Race on a constant loop, sings musical theatre songs badly and spends far too much time on Twitter. Read her blog here and her tweets here.